Pride of ownership throughout this beautiful 2 bedroom 2 bath Starpoint condo. Natural light floods every corner w/spectacular city & mountain views from every room. Open great room concept features island kitchen w/ granite & SS appliances. New laminate (hardwoods) throughout & gas fireplace. Corner unit w/private balcony perfect for sunset views! 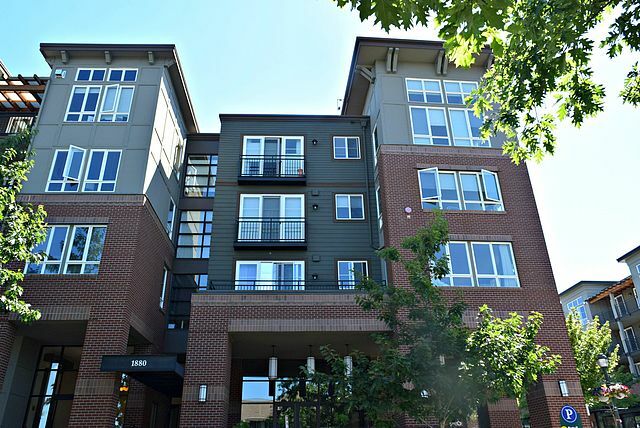 Located in the heart of Issaquah Highlands, walk to restaurants, shops, theater & more. 1 car assigned parking in secure garage/building.